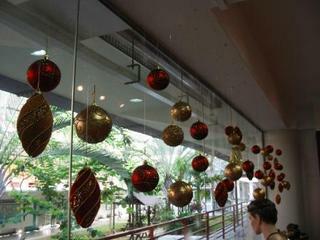 After school, tidied up the Retail Hub and hung up all the Christmasy balls for the window display. Tomorrow, we’ll be expecting 4 groups of visitors from the Pathlight Special School who would be taking over our campus when we shifted to the new one. This would probably be the last time that I’m touching up the Retail Hub and it evoked some tinge of sadness in me. The Retail Hub has been our ‘baby?since we first set it up 3 years ago and I’m feeling a little reluctant to leave it. However, I guess it’s time we learn how to let go and let the new Retail Students take over. 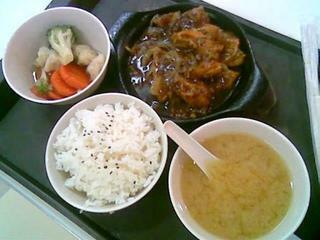 I realized that I had not been having my meals regularly. Often, I skipped breakfast and I only had lunch, my first meal of the day at around 3 or 4PM. 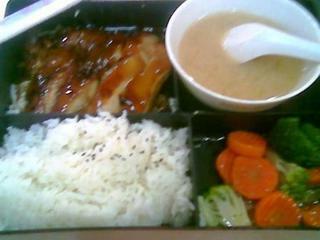 I loved the Japanese stall at J8 food court. This entry was posted in Uncategorized and tagged j8, japanese, retail hub. I have no idea how I should ease the tension between the current IO4s and us, the ex-IO4s. It’s my turn today to train them how to do window display at the Retail Hub but none of them turned up. The training session was supposed to be at 12.30 noon so I opened up the Retail Hub and waited for them. 2 hours passed and I had already finished cleaning up the whole place but not a single soul turned up. I went to the Cobra Cove where I last saw them but they were not there at all. Left with no other choice, I had to inform Mr Yeo and Mrs Tahir about their attendance. The teachers were FURIOUS. I forsee a terrible storm brewing at IO4 tomorrow. They should have informed me if they can’t make it and I could always arrange their training to another day. It is very irresponsible of them to skip training without a word. What does this say about their attitude? Is this going to be the same attitude that they are going to bring outside when they start working? What would prospective employers think of ITE students? The general public’s opinion of Technical Education students has not been very positive all along. What they did is going to further damage the image and reputation of the school. I’m not the only one who had problems with them. Even Haida and Wanni also faced the same problems during their training session – Unruly, rude, holier-than-thou attitude, DEFENSIVE, etc? Now I’m afraid that because of today’s incident, they would think that I complained about them to the teachers and that is going to strain our relationship further but I have no choice. The teachers have the right to know what is going on. Since Mr Yeo entrusted the task of training them to us, it is our responsibility to make sure that we do our best to train them. We had the duty to report to him, at the end of the day, what we had taught them ! I want to make my stand very clear. I did not make any false accusations against them. What I told the teachers were the truth. 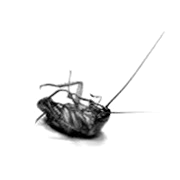 If we were to make any false accusations at them, would we had succeeded if they didn’t give us the opportunity to do so? What could we do to them if they had dutifully attended every single training session? We would have no ‘handle against them to tell the teachers. Actually, what I had planned for today was to have a heart-to-heart talk with them to find out what it is that they are so unhappy with us about. I wanted to clear up the air and hope to seek their understanding because whether they like it or not, they still have to work with us but… how am I going to do all that when they didn’t even turn up? There are all kinds of people in this world and we have to learn and accommodate each other’s flaws. Nobody is perfect. Not me, Haida nor Wanni. They would only make themselves and the people around them miserable instead. I understand that there is some unhappiness they had against us. They assumed that we are ‘Proud? I feel this is an understatement. The correct term to use should be ‘PRIDE? Why shouldn’t we? After all, we built the Retail Hub up from scratch. We’ve spent endless hours staying back after school and even coming back during weekends and school holidays to decorate, display the merchandise, cleaning up the place, etc? We toil and sweat to make all this possible and not to mention the Bazaar Sale, Fashion Show and Food Cart that we planned and carried out to raise funds for our Bangkok trip. This is OUR achievement! The point that I’m trying to bring across is we had done a lot for the Retail Hub so there is a sense of belonging, hence, the rationale behind our ‘PRIDE’. They retorted that they did not join the Retail Hub of their own free will and they had other CCAs to join but they do not understand this: They are, by default, members of the Retail Hub the moment they became retail students, hence, it’s NOT a matter of whether they had other CCAs to join or not. This Retail Hub is only exclusive to Retail students and it IS part of their coursework. Fail this, and they can kiss their cert goodbye. It doesn’t affect me whether they attend the training sessions or not. I have ALREADY graduated from the Retail course and progressed to the Accounting course. I WILL receive my Nitec Cert in Retail later this month at the Graduation Ceremony which is held at Macpherson ITE. But they will be in trouble if they carry on like this. It is their future that they are toying with. Not mine. They can carry on being their sensitive-new-age-kid but they are the ones who’s going to suffer in the end. If they feel indignant that we had wronged them, then all the more they should buck up and prove to us that they are NOT what we made them out to be! They aren’t being fair to say that we’re ‘unfriendly?and ‘Proud?without first reflecting on their own behavior and actions. This entry was posted in Uncategorized and tagged io4, mentor, retail hub. After school, went to Retail Hub for the last minute touch up. Finally, after months of preparation, the official opening is next Monday! So happiieee! No more staying back after school till 6pm!! Yippiiee!! We can finally show off our precious baby to the whole school and the other campuses. Everything was done in complete secrecy as the glass panels were all covered with brown papers. Nobody has ever seen how our shop looks like and we can finally unveil the secrets within on Monday!! Shall take some pix on Monday when the GOH comes to give his speech and cut lebbin. This entry was posted in Uncategorized and tagged ceremony, official, opening, retail hub.